From snow-capped mountain peaks to sea stacks on the Pacific coast, the vast expanse of protected land known as Olympic National Park has a lot to offer visitors. One such treasure can be found along the 73 miles of coastline, in the form of beaches. With both easily accessible and far flung options, you can find the exact experience you’re looking for. 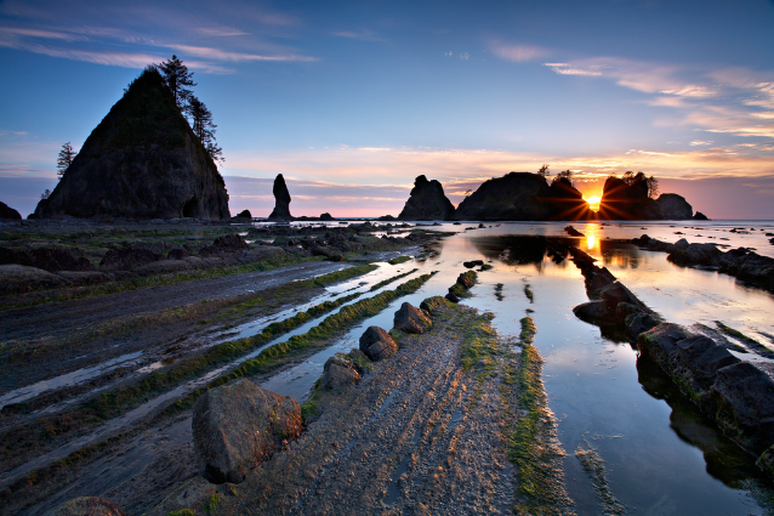 Drive to Rialto Beach for an easy trip or explore some of the more remote options to the north. A three mile hike will take you to Shi Shi Beach (pictured) where you’ll find sea stacks and some of the most beautiful tide pools in the world. Most people don’t realize that many of our favorite national parks are home to pristine beaches. In fact, the 10 included on this list are just a small sampling of public lands with incredible waterfront property. Whether it be oceanfront, lakefront or riverside, these parks offer up some of the best beaches in the country. From Acadia in Maine to Virgin Islands National Park in the Caribbean, these are the wild and breathtaking beaches located within our national parks. 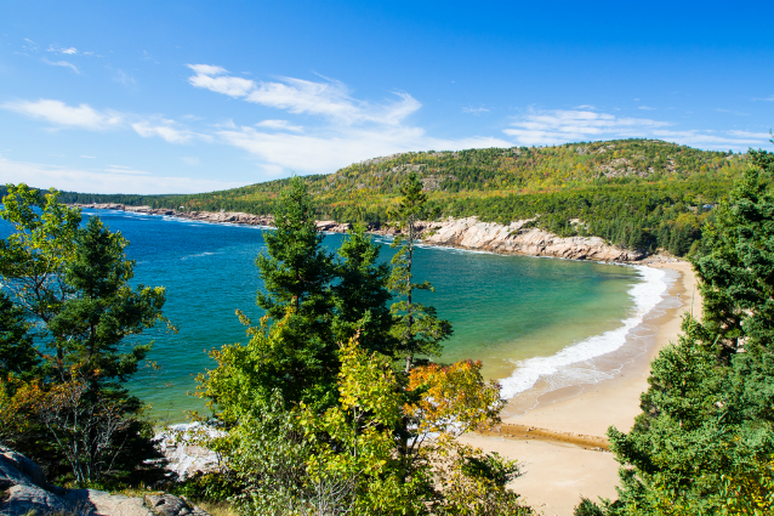 This incredibly popular national park is best known for its dramatic rocky coastline, but there is, in fact, a stretch of sand in Acadia that gives way to the Atlantic Ocean. The aptly-named cove is called Sand Beach (pictured here) and it’s a popular spot in the summer despite chilly water temperatures. There are other spots to access water in the park, like Echo Lake Beach, which happens to offer warmer waters, but one of the best way to see the coastline is from the water—consider kayaking Acadia for some of the best views. Travelers looking for the tropical beach vibe will be blown away by the pristine beauty of Virgin Islands National Park. Set directly east of Puerto Rico, the park covers roughly 60 percent of the island of Saint John and almost all of Hassel Island. It’s world-renowned for its protected land, beaches and waters—the SCUBA diving and hiking is hard to beat. 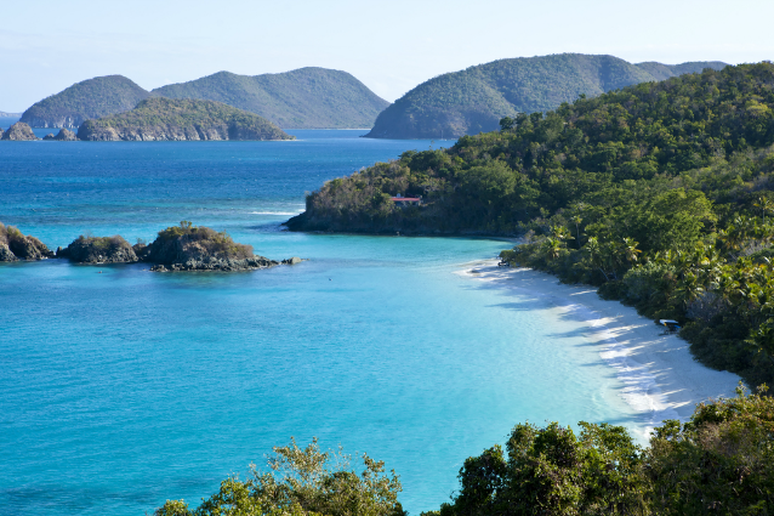 Visit the iconic Trunk Bay beach (pictured) and Honeymoon Beach to experience paradise first-hand. Volcanoes are the main attraction at most of Hawaii’s national parks, but travelers can find an interesting “beach” in Haleakala. 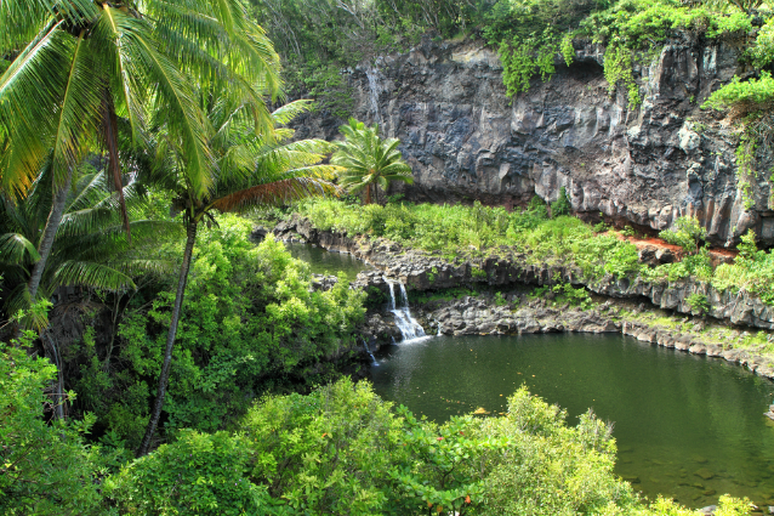 The park known as the “House of the Sun,” stretches along Maui’s coastline and features a beach of basalt stones and waterfalls. Oheo Gulch (pictured) draws travelers from all over, so be sure to visit early to avoid the crowds. Far from your average beach trip where you can simply unpack the car, recline in a lounge chair and enjoy a frozen drink, getting to a beach in Grand Canyon National Park is usually preceded by the trip of a lifetime. The main way to access the best beaches in this national park is by joining a rafting tour and camping on the sand overnight. These trips range in length from three-to-21-days and are booked well in advance. The water is always frigid, but in the summer heat there’s no better place to be. 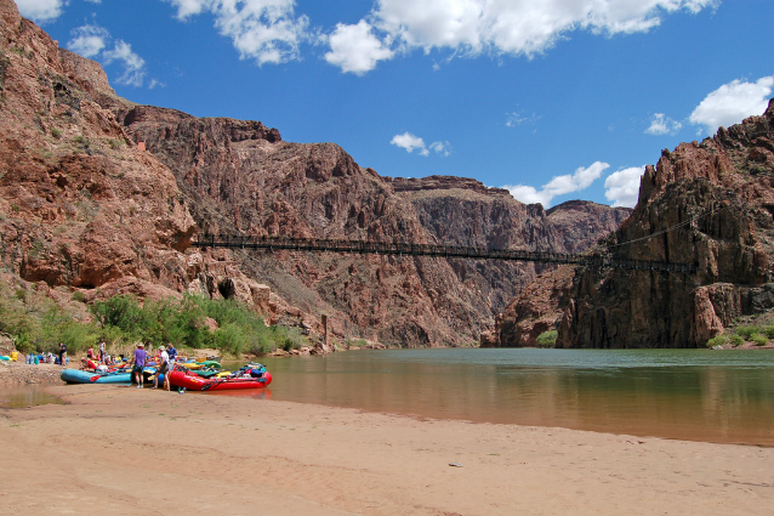 Stop off at Boat Beach at Phantom Ranch (pictured) and Football Beach for a once-in-a-lifetime experience. 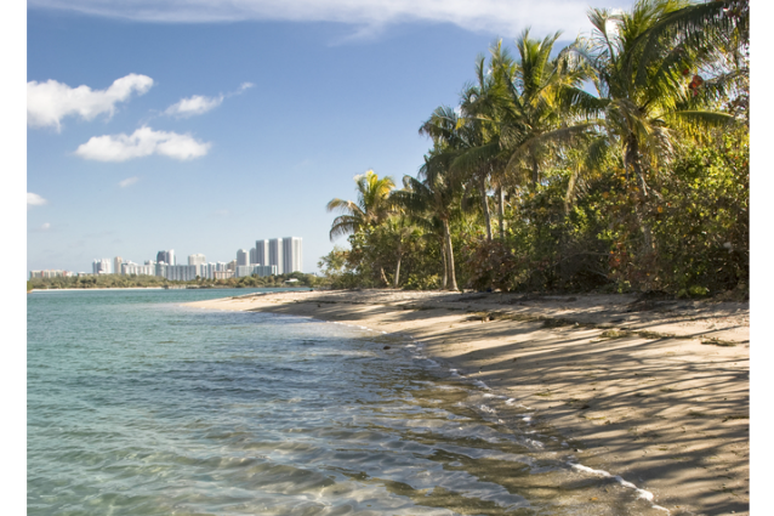 It’s no surprise that a park within sight of downtown Miami would have incredible beaches, but despite its proximity to the high profile party city, a trip to Biscayne National Park still gives the illusion that you’re worlds away. The park made up mostly of water also features coral reefs and mangrove-covered coast and it’s the perfect spot for both outdoor adventurers and those looking to get away. The park is rich with wildlife and offers plenty of opportunities for visitors to get out in the water or camp overnight. 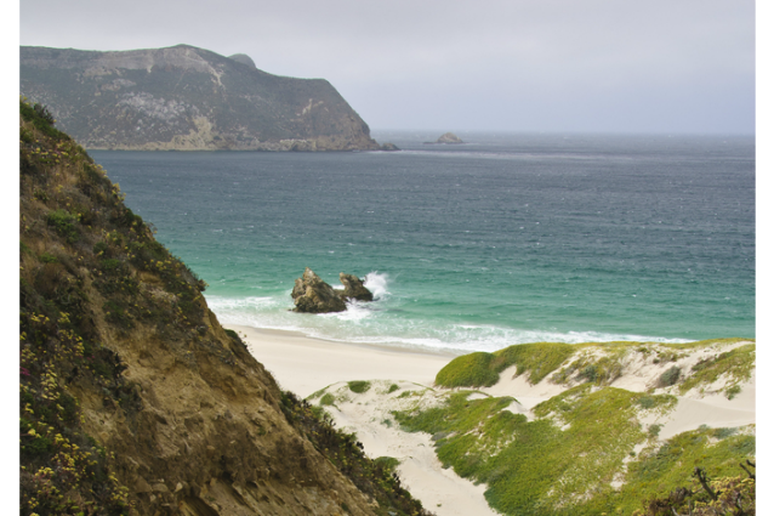 The five islands off the coast of California that make up Channel Islands National Park are just an hour-long boat ride away, but those who visit say it feels like a different world. The rugged coastlines and undeveloped beaches typically draw those looking to explore the park, but those looking to relax can find beaches that are mostly untouched. Explore sea caves, discover tide pools, hike the bluffs and then relax on a beach looking out into the vast ocean. 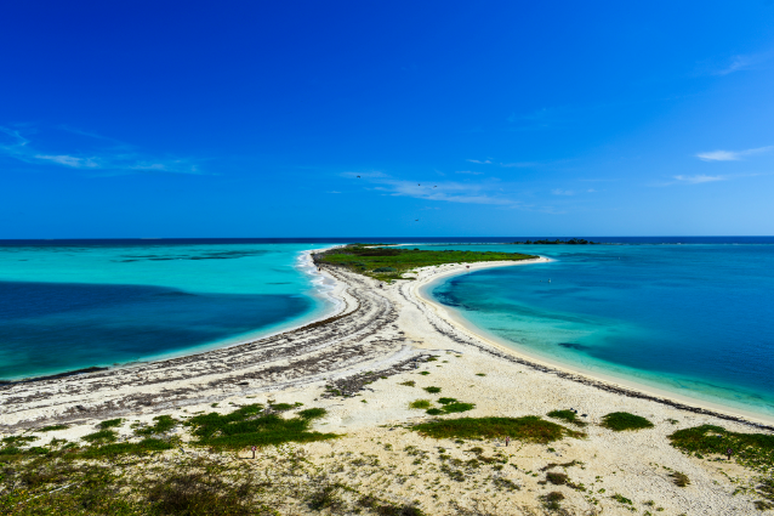 Accessible only by boat or seaplane, Dry Tortugas National Park is comprised of mostly open water, with only seven small islands in the area. Best known for its coral reefs and famous Fort Jefferson, the park located 70 miles south of Key West is great for divers, history buffs and those looking to relax on a very remote beach. The beaches of Garden Key are renowned for snorkeling, but if you’re simply looking for a patch of sand near some water you won’t have to look hard. 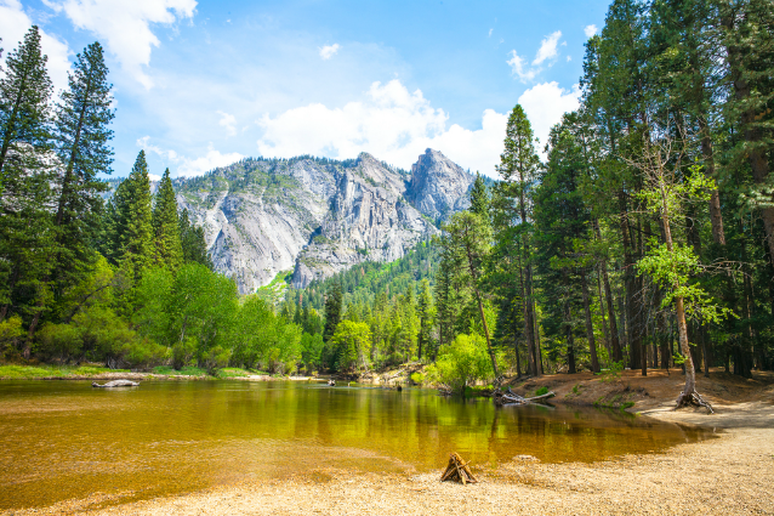 Breathtaking waterfalls, giant sequoias and the notoriously beautiful Yosemite Valley are just a few of the picturesque draws in Yosemite National Park and although the park doesn’t extend to the Pacific Ocean, there are beaches you can visit too. When the summer temperatures spike, float on the Merced River and visit the two main beaches, Cathedral (pictured) and Sentinel, which offer sandy shores and unbelievable views. Best known for being home to some of the oldest and tallest Redwoods in the world, many people overlook the fact that this park has oceanfront acreage on the Pacific. In partnership with California State Parks, Redwood National Park manages one of the most incredible beaches in the U.S., Gold Bluffs Beach. 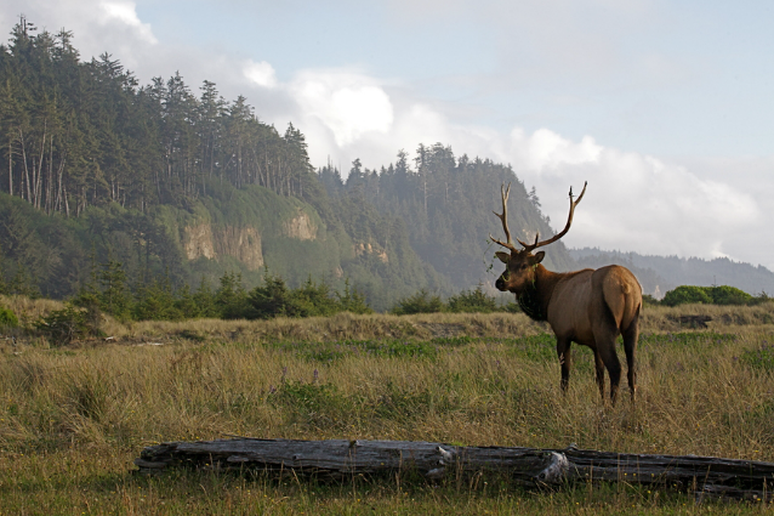 This 10-mile coastal stretch is a haven for hikers, campers and Roosevelt Elk, who freely roam the undeveloped area. Don’t miss the hike to Fern Canyon, which will have you walking through 50-foot-tall canyon walls and some water, so bring your water shoes and prepare to get wet.